Human beings have the strange tendency to destroy the very thing we revere. The sad tale of the Indian star tortoise is testament to this fact. Loved as a pet and worshiped as spiritual symbol, this magnificent creature is reeling under the threat of flourishing illegal trade. 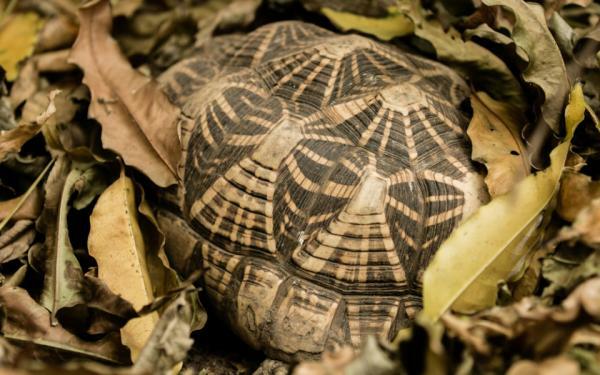 An extensive study by World Animal Protection has raised concerns about the impact of the rampant trade on the tortoises, famed for the star-like radiating patterns on their shells. According to the study, over 55,000 tortoises are being poached from just one site in South East India annually. The star tortoise's status in the wild was reportedly last assessed 15 years ago in 2000 - when it was categorised under 'Least Concern' on the IUCN Red List. 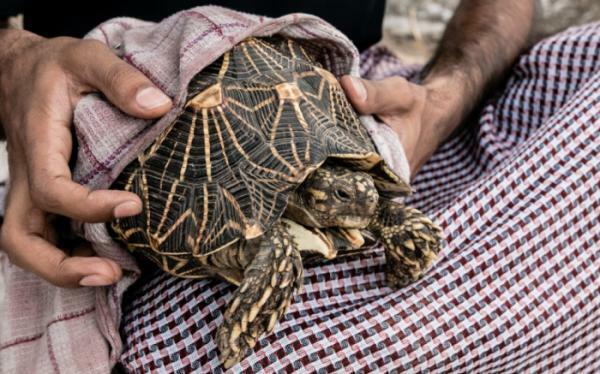 Wildlife experts raised a call to contain the domestic trade in Indian star tortoises before it could become established as an organised international criminal operation. "Unfortunately it seems that our worst nightmare has come true, " says Neil D'Cruze, lead author from the University of Oxford and Head of Research at World Animal Protection, UK. To avoid detection during smuggling animals are often wrapped in cloth and packed into suitcases leading to the cracking of their shells. (Photo: Neil D Cruze/World Animal Protection). The dark trade is now reportedly booming due to the international demand of these tortoises as exotic pets. According to the report, there are numerous evidences of a thriving international criminal operation, with tortoises being smuggled in boxes - hidden under food items like vegetables or fish - and even stuffed in suitcase. This sometimes results in the cracking of the shells, disease and even death of the fragile, shelled creatures. According to the study, Thailand is one of the primary destinations for these smuggled animals. This is because of the favorable atmosphere provided for the poachers. Video: Customs officials in Thailand intercepted an illegal shipment of 370 tortoises in July 2015. The animals were hidden in two suitcases that were abandoned at Bangkok's Suvarnabhumi Airport. 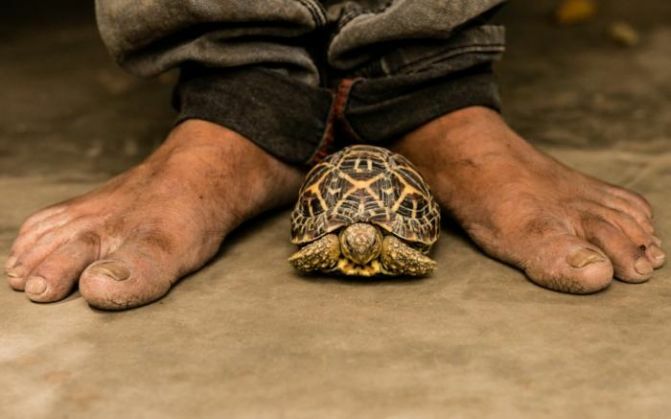 Unlike India, where it is illegal to possess and trade star tortoises, Thailand has no such laws. This has resulted in the star tortoise becoming the most-frequently seized tortoise seized by Thai authorities between 2008 and 2013. An intensive investigation in Gujarat revealed the underbelly of the trade in India. A number of people in Gujarat keep star tortoises as pets, primarily because these shelled creatures are considered to attract good luck. 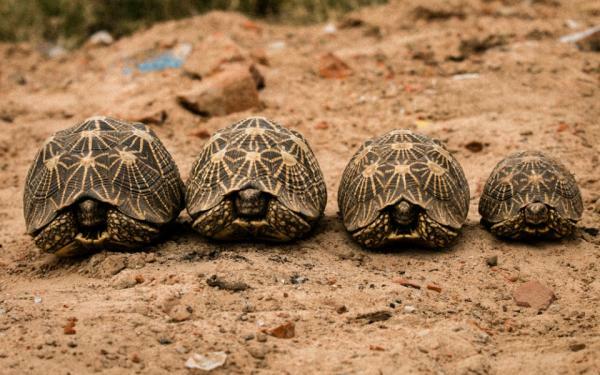 Researchers also found over a 100 star tortoise hatchlings in a single household. 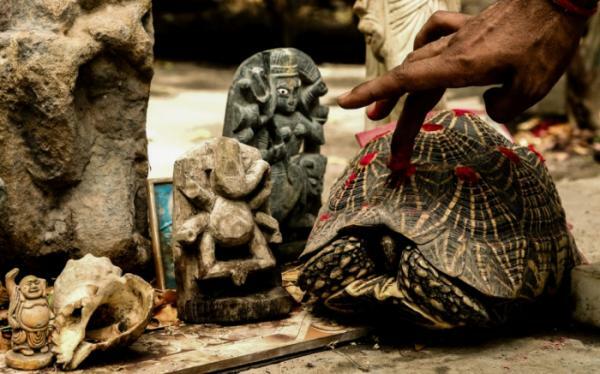 Apart from the households, the team also found that the Indian star tortoise was common in religious temples, because the animal is "believed to represent an incarnation of the Hindu God Vishnu". A larger network of this illegal trade was unearthed in southern India. 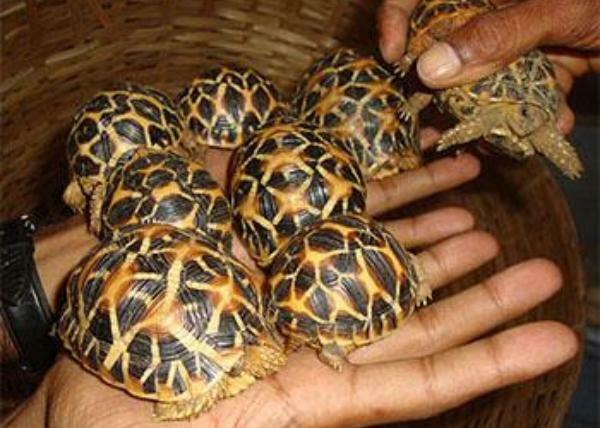 In Karnataka, Tamil Nadu and Andhra Pradesh, rural forest-dwelling communities were found supplying the tortoises to international customers via a series of middlemen. According to the report, between January and December 2014, over 55,000 juvenile wild tortoises were traded in this manner. 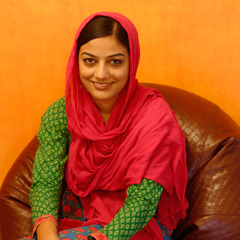 The primary collectors typically sold the animals to urban traders for a sum ranging from Rs 50 to Rs 300($1 to $5) per animal, the team found. The tortoises are then transported via rail or road to eastern India, from where they are shipped off to countries like Thailand, Malaysia, Singapore and China. Sometimes, international passengers help to transport the creatures, the report says. Despite all the information available, the impact of unregulated collection of tortoises, and their trade, on the total population is still unknown. But D'Cruze's team suggests that listing of the Indian star tortoise as a threatened species on the IUCN Red List as a precautionary approach. To help save the wonderful reptile, wildlife experts are calling for better cooperation between national enforcement agencies. There have also been calls for Thailand to prohibit private ownership of these creatures by extending its domestic legislation to non-native species.